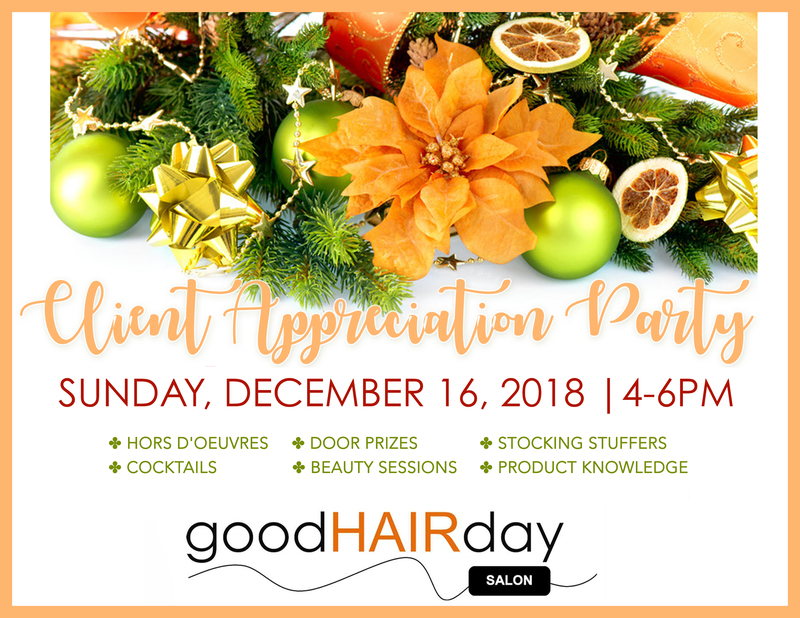 The Good Hair Day Team would like to celebrate you, our clients! We are so thankful for your patronage and support and would like to show our appreciation! Eat, Drink, Mingle and be Merry! Enjoy hors d’oeuvre, cocktails, socializing, beauty sessions and some fun prizes!